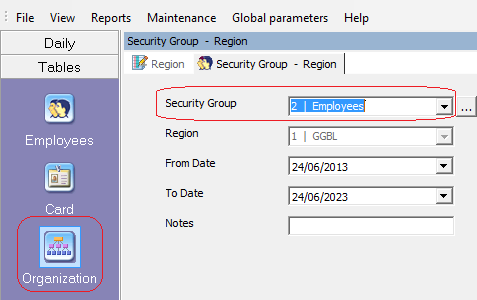 Defining a Security Group allows the group entry via a specified door at specified time zones. The Security Group is defined by doors its members can access and the Time Zone during they can access those doors. Use the arrows to add and remove doors. For each door, assign a Time Zone. After Security Groups are defined, you can go back to the Door definition screen to drag and drop the relevant Security Group and its designated Time Zone. After clicking OK, the selected parameter will appear on the grid as well as on the Organization Tree (Figure 54). 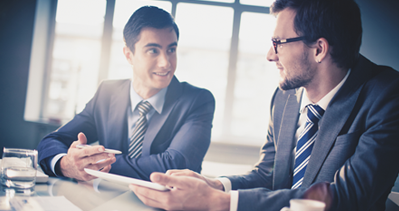 To add employees to your security group, double-click the button in the Organization Tree area, and fill in the relevant details in the screen. 5. 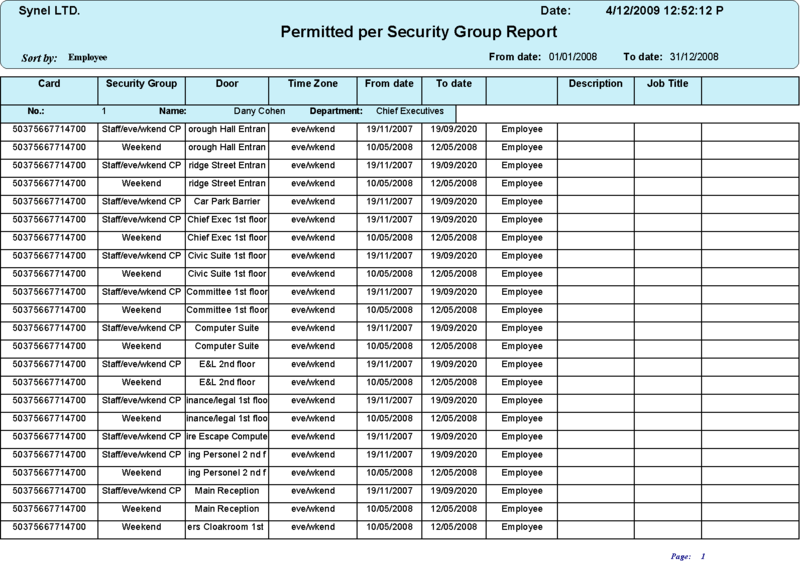 Select individual employee security group, open Employee, and select the relevant security group. This report lists all access permissions at each door for each employee. It is organized according to Security Group.